Tennessee lost treasure sites are listed on this page. However, I cannot promise that this information is completely accurate. As treasure tales go, because they have been passed down through many years, certain elements of the lost treasure story may have been altered, either intentionally or otherwise. This information should be researched through other means as well. Never rely on one piece of information about a treasure story you are researching. Use multiple research tools like the internet, museums, and historical societies. Good luck! And have fun in your search for Tennessee lost treasure. Located somewhere the North Carolina State border, near Gatlinburg and the Great Smoky Mountains. If you have been following the price of silver then you know the potential treasure size. Located on the west side of Lake Barkle on route 49. During the Civil War a Confederate paymaster buried $60,000 in gold and silver coins somewhere near Bear Springs. The gold and silver was cached in February 1862 after the Federal victory at Fort Donelson which was located not far from Bear Springs. Located approximately four miles south of Bear Springs. 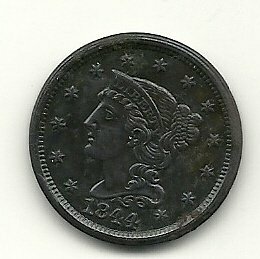 Supposedly, Confederate soldiers running from the Northern troops, buried a cache of gold and silver coins near Carlisle. A treasure located buried gold and silver coins in Dover. They are assumed to be from a hidden treasure buried by the Confederates. Located on the east side of Kentucky Lake. More treasures from the Civil War are rumored to be buried here. Located just south of the Fort Henry ruins. In 1862, the retreating Confederates buried a large number of weapons and a bronze cannon. Supposedly, the cache is buried where the bridge on route 79 crosses the lake. A large treasure of gold coins, and silver plate was buried by John Winters, on his farm, located approximately two miles north of Erin on route 13. During the Civil War a Union supply train was robbed. A chest containing gold and silver coins worth $50,000 was tossed into the Buffalo River approximately two miles northwest of Flat Wood on route 48. Tennessee lost treasure may be located in ghost towns. 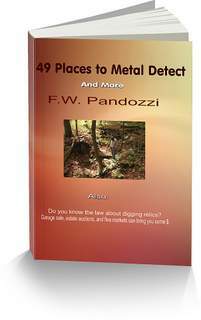 I have written extensively about the adventures of metal detecting and treasure hunting.